Lawsuit alleges Theta II engines are prone to fires that can't be prevented by recall repairs. 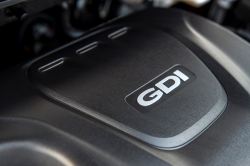 April 10, 2019 — Hyundai and Kia fires have caused a class action lawsuit that alleges the following models are dangerous to drive due to faulty Theta II engines. The plaintiffs claim Hyundai and Kia have known about the dangers of the Theta II engines since at least 2015 but wasted time by not warning customers about those dangers. The engines are known to have defects that restrict the flow of oil to the engines, causing the engines to stall, seize, fail and catch fire. But according to the plaintiffs, owners suffer the same problems even when the engines are replaced. 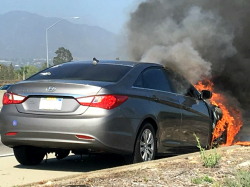 In addition, Hyundai and Kia allegedly have given drivers a false sense of security by making recall repairs on the vehicles even while knowing the vehicles are still at risk of fires. The plaintiffs also allege owners are stuck with vehicles that aren't worth what they should be, allegedly all because the automakers have failed to fix the defects. According to the lawsuit, plaintiff Daniel Adams was driving his 2013 Kia Sorento in June 2018 on a highway in Polk County, Florida, when the Theta II engine stalled and seized. Adams says the Sorento lost all power as the steering locked, bringing the vehicle to a coasting stop. The Sorento was towed to a Kia dealer where the engine was replaced. Two months later Adams was driving with his wife and infant child when all the warning lights illuminated and the engine seized just as the original did two months before. 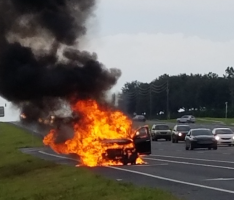 The Sorento coasted to a stop as smoke rolled from under the hood, causing onlookers to honk as large flames started shooting from under the hood. 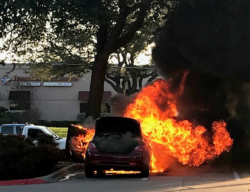 Mrs. Adams rushed to the back seat to remove her child from the car seat just seconds before the entire vehicle went up in flames, as seen in the photo above. The plaintiffs allege a faulty engine was replaced with another faulty engine that was just as dangerous as the original motor. Mr. Adams says it appears the recall repairs made the vehicle even more dangerous and prone to catch fire because the fuel pump was never replaced. According to the lawsuit, it was a leaking fuel pump that caused the gas leak that ignited the fire. 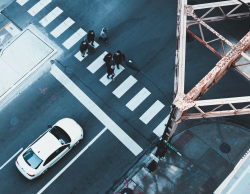 The Hyundai and Kia class action lawsuit was filed in the U.S. District Court for the Middle District of Florida, Orlando Division - Daniel Adams and Christine Adams, et al., v. Kia Motors America, Inc., et al. The plaintiffs are represented by the G Law Group.